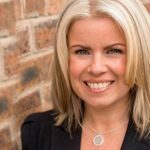 Susie has over 15 years experience in event co-ordination and business development management with high profile businesses. Susie has vast experience of working with other Angel Syndicates managing all aspects of the investment process. At Kelvin Capital, Susie maintains relationships with our growing private investor members and works with potential new investee companies, ensuring their proposals are investor ready in advance of showcase events.